For our December 2017 stationery box we stayed at home, as it were, and put together a collection of some of our favourite iconic English brands. And our subscribers loved it! The Stamford Notebook Company: Using only British-milled, fountain pen friendly paper and artisan skills, each Stamford Notebook is hand bound using a combination of traditional craft and modern equipment – sort of, if you count their 1948 sewing machine as modern! This rather special Limited Edition notebook is a particularly fine example of their craft. Silvine Originals: From the 1960s onwards, generations (including me!) grew up using their iconic red exercise books with the laurel wreath logo on the cover. It was wonderful to see their relaunch at the London Stationery Show last year. Derwent: The Cumberland Pencil Company created its first pencil in 1832. Now known as Derwent, they’re one of England’s best known suppliers of art materials. Lonetree: Afternoon tea, cricket, gardening… greetings cards which illustrate a few of our favourite obsessions! Kate Moby: Say hello to the robin, England’s favourite bird according to a national poll. 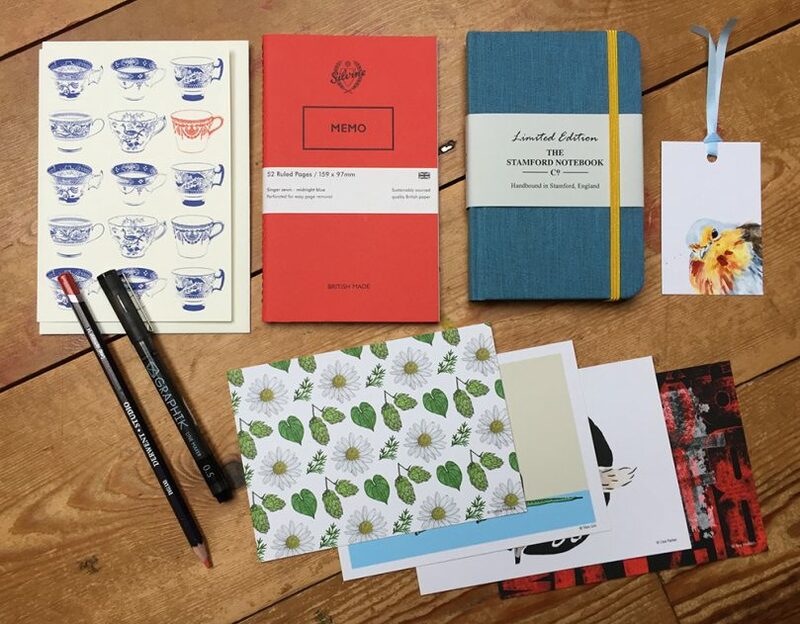 Once again this collection sold out completely but we still have a small number of a few of our other collections available in our shop – go on, indulge your passion for stationery!